Chirag has over 4 years of experience in Investment Management and Consulting. He has been with the Sponsor Firm for 2 years. He has previous experience in Private Equity in Dubai and Mumbai. Prior to that, he was a techno-functional consultant at Deloitte Consulting for 2 years. 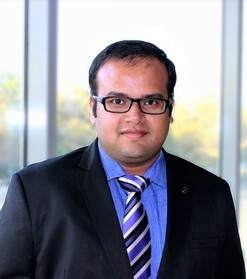 He holds an MBA from IIM Ahmedabad and a Bachelors in Engineering from MIT Manipal. The information contained herein does not constitute an offer or solicitation in any jurisdiction. Prospective investors should contact Blue Ocean's investor relations team to disucss the product for investment purposes.